The extraction of teeth is a minor surgical procedure. A majority of the extractions can be safely and painlessly carried out in the dental clinic.Wisdom teeth often cause no problems. They are described as impacted when there is not enough space for them at the back of the mouth. In such a case it might erupt towards the cheek or it might impinge on the second molar. Impacted wisdom teeth can cause pain, swelling, infection or damage to the teeth next to them. If the gum around the wisdom tooth is swollen, the jaw may become stiff and sore. Infection at the back of the mouth can cause bad breath and a bad taste. 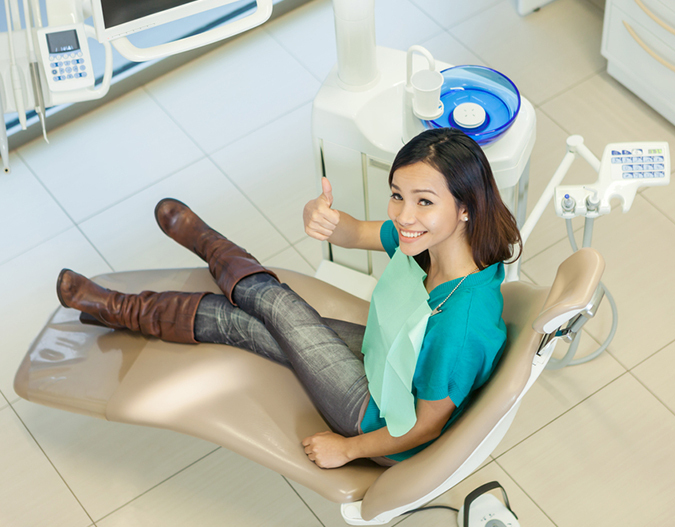 People who have impacted wisdom teeth that are not causing problems do not need to have them removed. With the modern restorative techniques used at our Gupta Dental Implant and Orthodontic Centre in Gurgaon Sector 31, a majority of teeth which were earlier advised for extractions, can now be easily saved. However, in certain situations, extraction is the only solution. The surgical removal (extraction) of one or more wisdom teeth at our clinic can help you get rid of these problems. Though antibiotics can provide temporary relief, the symptoms tend to flare up again in the future. The removal of such impacted wisdom tooth has to be accomplished surgically. A flap is reflected to completely expose the tooth. Some amount of bone cutting may be required to facilitate easy removal. After the tooth is extracted the flaps are put in place and sutured. The procedure is performed under local anaesthesia and is associated with minimal pain and discomfort. Gupta Dental Implant and Orthodontic Centre provides various oral surgery including tooth extraction in Gurgaon. The centre is equipped with modern equipment to allow minimal discomfort. If you are experiencing pain due to wisdom tooth, contact our dental clinic in Gurgaon Sector 31 today.